The latest Salone promises to be as always up to date with many projects located on over 205,000 square meters of net exhibition space and more than 2,350 exhibitors – including 550 SaloneSatellite designers – and 34% of foreign companies. 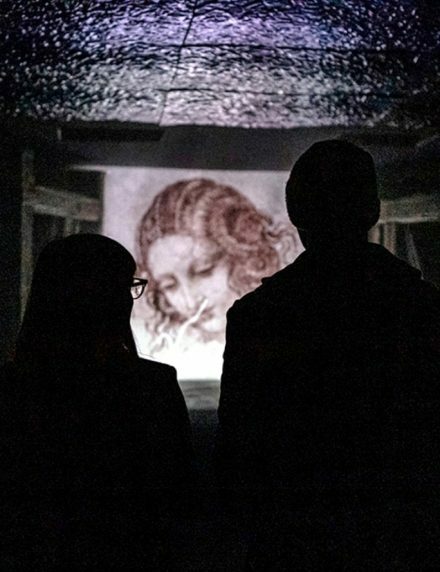 From the addition of a new term ( Ingenuity ) to the Manifesto launched last year to new exhibition formats at Workplace3.0 and S.Project, two great installations dedicated to Leonardo in the city and at the fairgrounds and a three-year collaboration with the Teatro alla Scala Foundation. 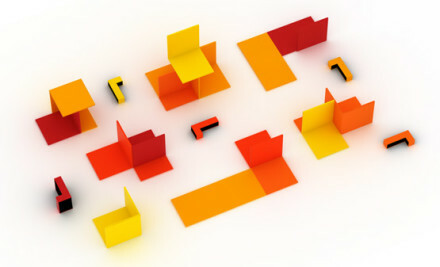 In support of this, the government, said the minister, expects to invest 10 million euros in the Milan Museum of Design. 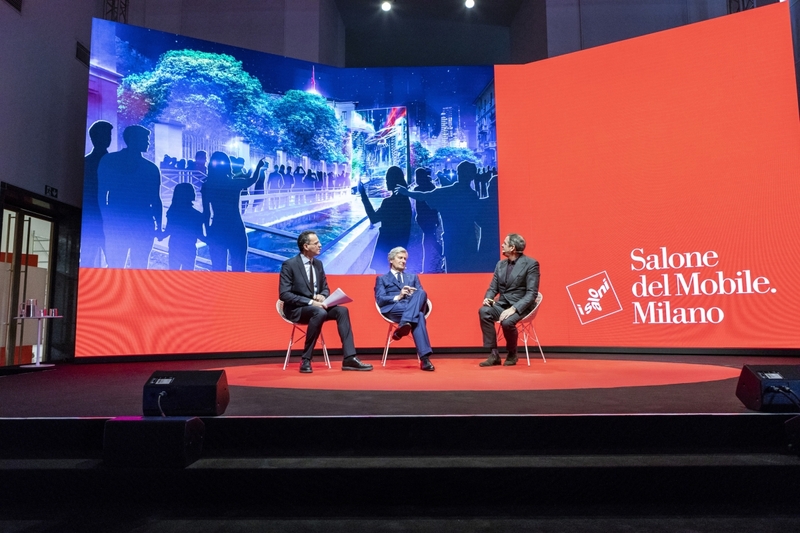 The Mayor of Milan, Giuseppe Sala reaffirmed the city’s link with the Salone and its finely honed ability to interpret the spirit of Milan and to lay itself open to new things with pragmatism and originality. Thanking the minister of the assets and cultural activities for his commitment underlines the centrality and the weight of the city of Milan with respect to the nation. 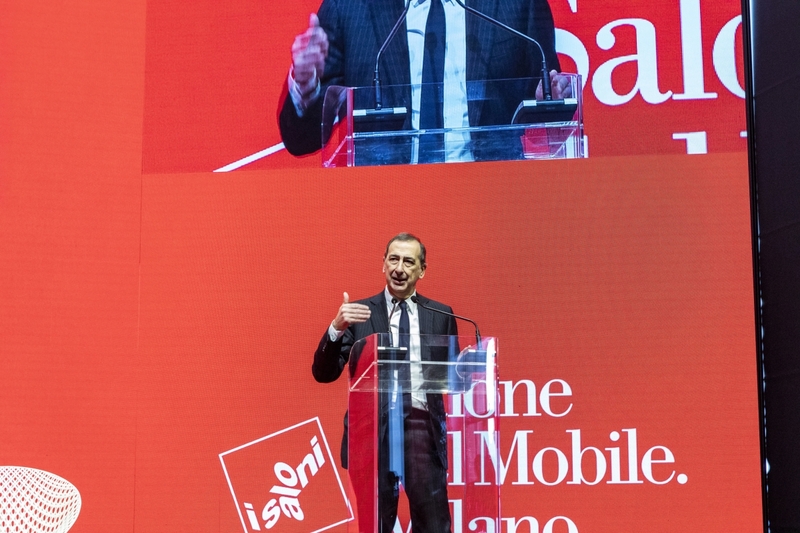 10% of GDP and 30% of foreign investments are the data that confirm the leadership of the city of Milan compared to Italy, a condition that needs support and support from the national government. 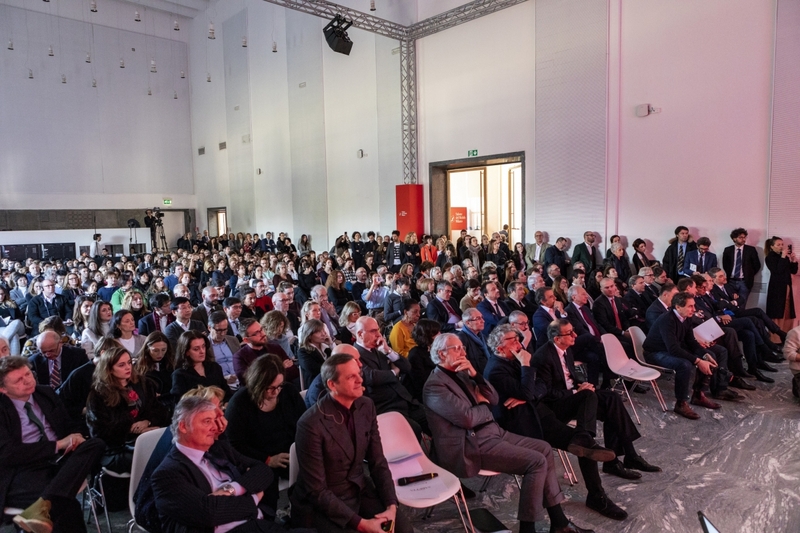 The Show is an important moment in many aspects, for entrepreneurship, for tourism, which in Milan has increased to reach 50% more than the pre-expo. The Salone is also culture and an opportunity to link the whole city. 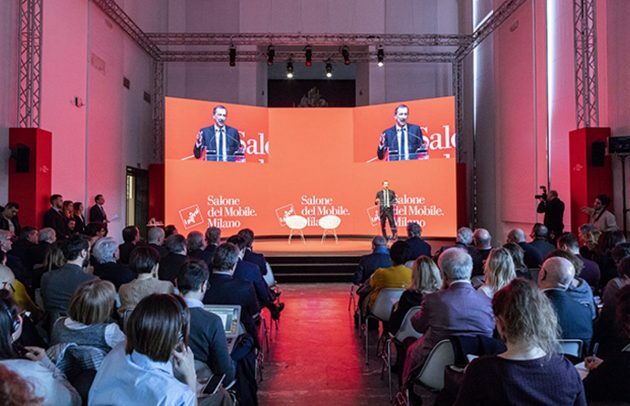 A key role in the Salone del Mobile system is Federlegno Arredo, whose industry represents the 5% of the national GDP of the industrial sector, with 42 million of turnover, about 80 thousand companies and 320 thousand employees. 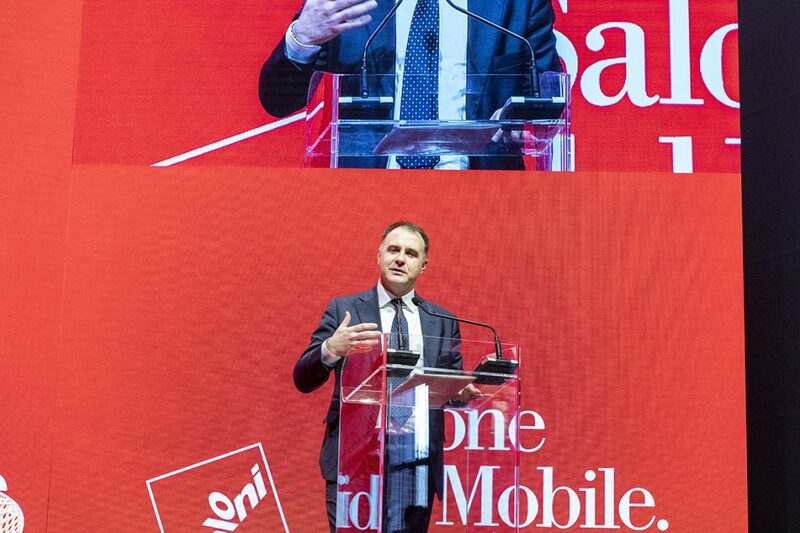 The talk by the President of Federlegno Arredo Emanuele Orsini stated that the 2018 has led to a growth in the 3,2% industry but looks at the 2019 with some concern, given the forecasts, however, thanks to an export percentage of 50% it is hoped that the sector can hold better than others. The President Orsini has announced that Federlegno Arredo will have a new headquarters, with a new vision at its base, a venue open to all members who have the function of a think-tank and exchange also with publishing. The architect is working on the new building project is Michele De Lucchi. 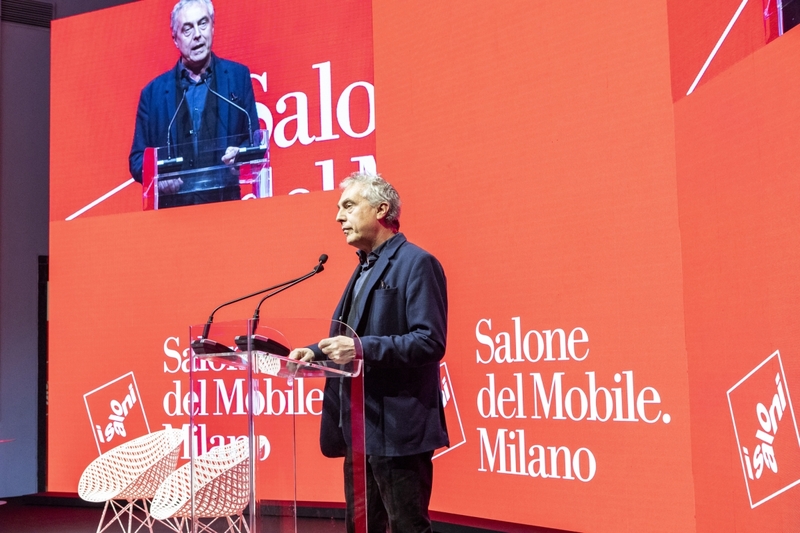 Stefano Boeri ( director Triennale Milan ) emphasised the importance of the dialogue with the Salone as a hub of experimentation and research into design. 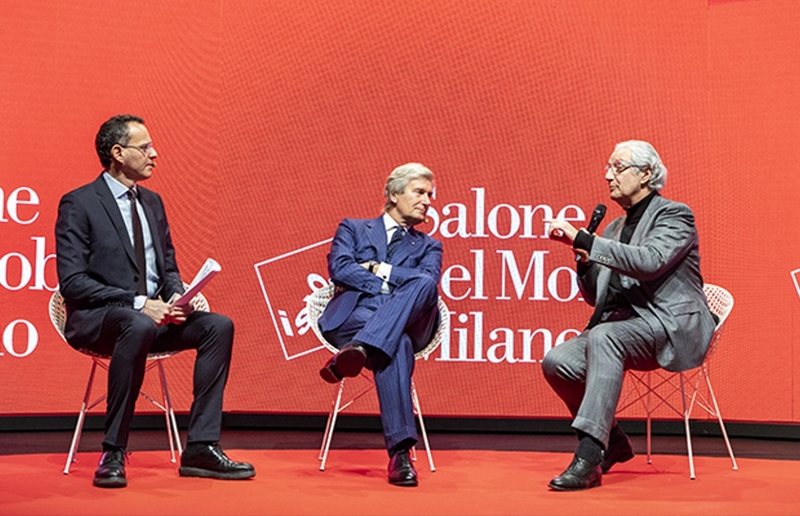 Boeri announced the opening of the Museum of Italian Design, which will be inaugurated on April 8 in conjunction with the 2019 Show. 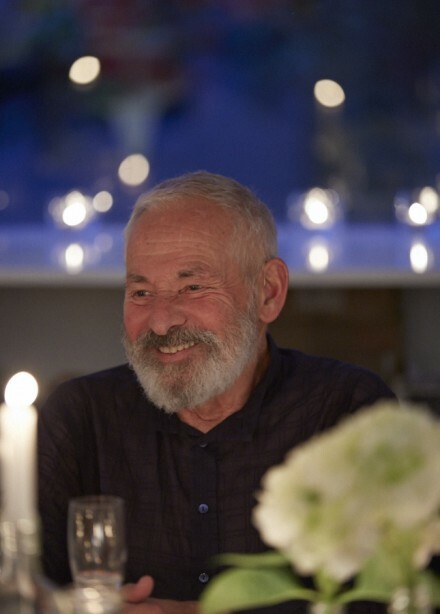 The permanent collection has been curated by Joseph Grima Director of the Museum of Design Foundation. 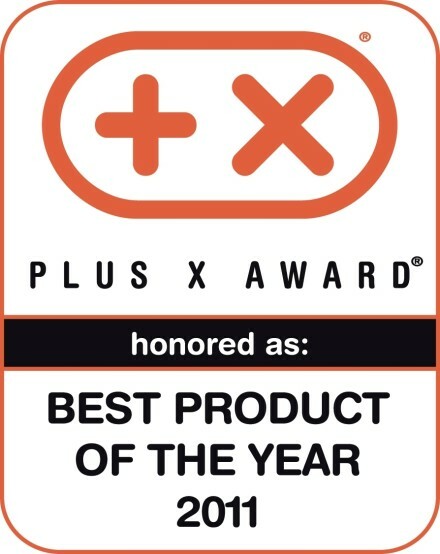 It will be a first part of a collection that we hope will be extended soon. Immediately after this inauguration will open a phase of great creative design to make the Triennale the home of a true great design museum. 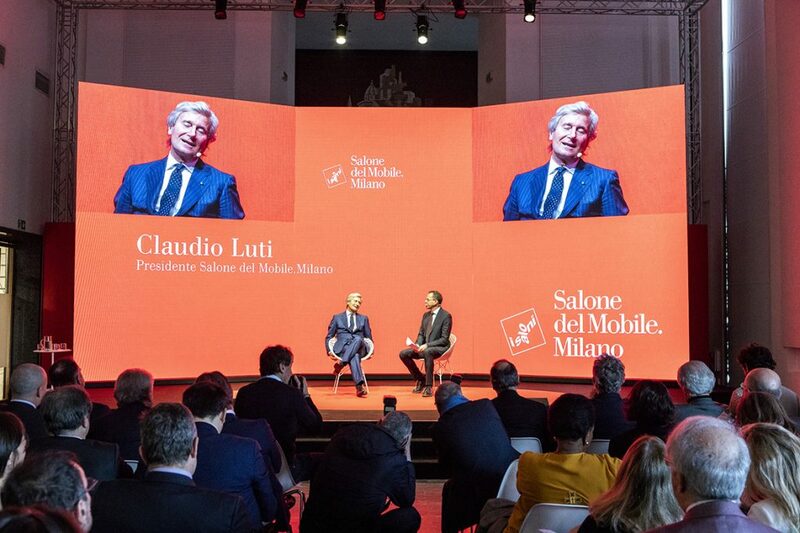 Claudio Luti then touched on three crucial issues for maintaining the event’s leadership position: nurturing creativity, increasing connections and creating a system. He also announced the new exhibition formats for the 2019 edition, responding to the demands of a growing and evolving market. Luti also discussed the new word that is being integrated into the Manifesto: genius, i.e. the ability to create and think in a way that will trigger fresh ways of looking at the world and coming up with brilliant and effective solutions. Workplace3.0 will become more widespread and crosscutting, while S.Project is being launched as a new multipurpose space devoted to design products and decorative and technical interior design solutions. 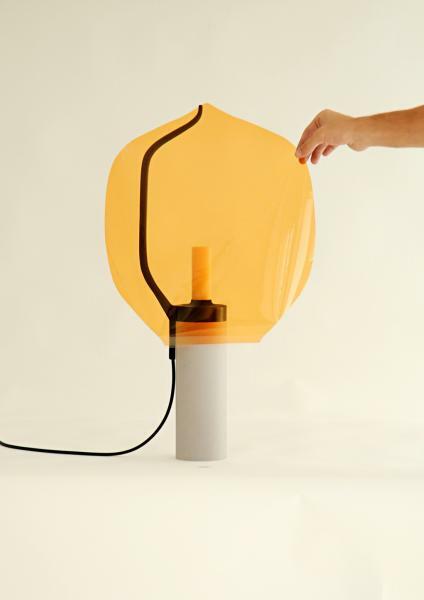 This is a talent that the companies and designers that are the protagonists of the Salone possess and are constantly developing and which, symbolically, they have inherited from Leonardo, to whom the Salone is dedicating two great events, curated by Marco Balich and Davide Rampello. Does a waterway in a city make sense or not? 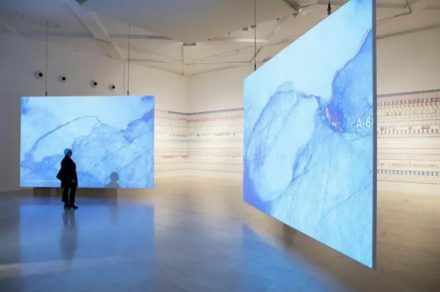 Two videos, by Steven Holl and Neri&Hu and by James Bradburne and Alexander Pereira, are testament to the international nature of the Salone and to the close relationship between design and art. 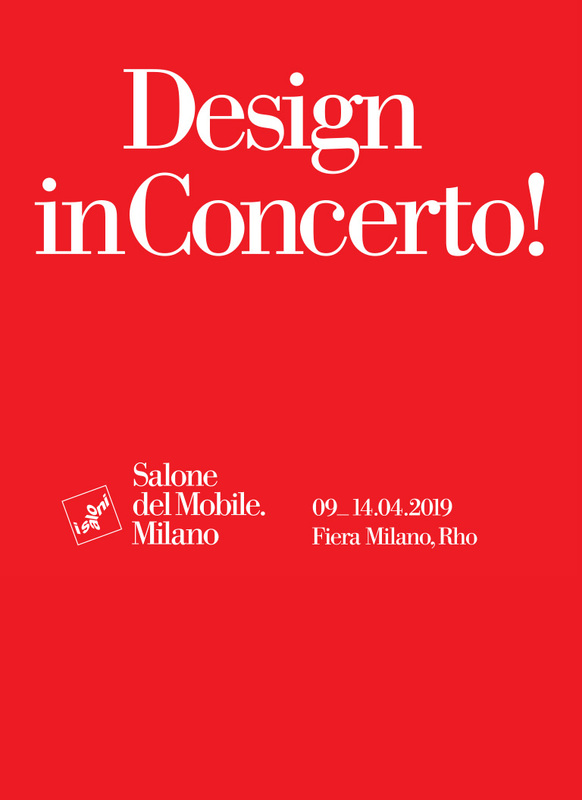 Design, ideas and art are some of the most beautiful aspects of Italy, of Milan and of the Salone del Mobile.Milano which every year promotes the message of design throughout the world. 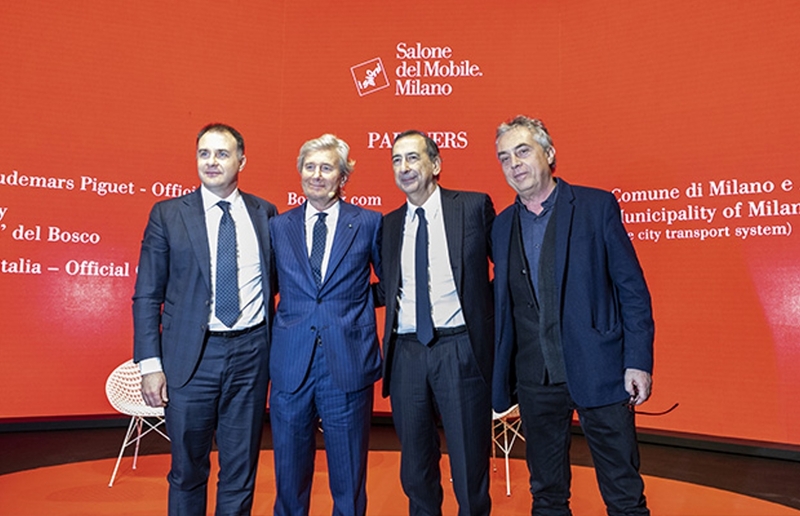 How strong is the connection between Salone del Mobile.Milano and the city of Milan? 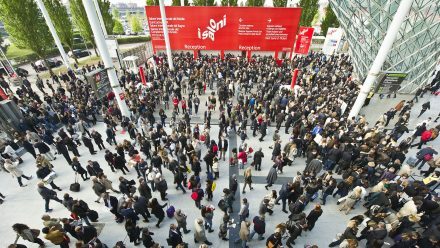 What to expect from the 58th edition of Salone del Mobile.Milano? Davide Rampello, Artistic Director of Davide Rampello & Partners, is the curator of the DE-SIGNO event. 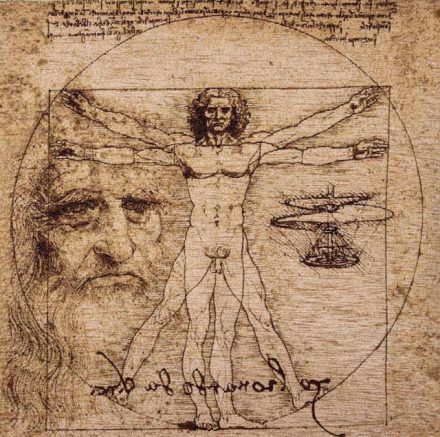 Italian design culture before and after Leonardo, be inspired by the philosophy of Saint Augustine. 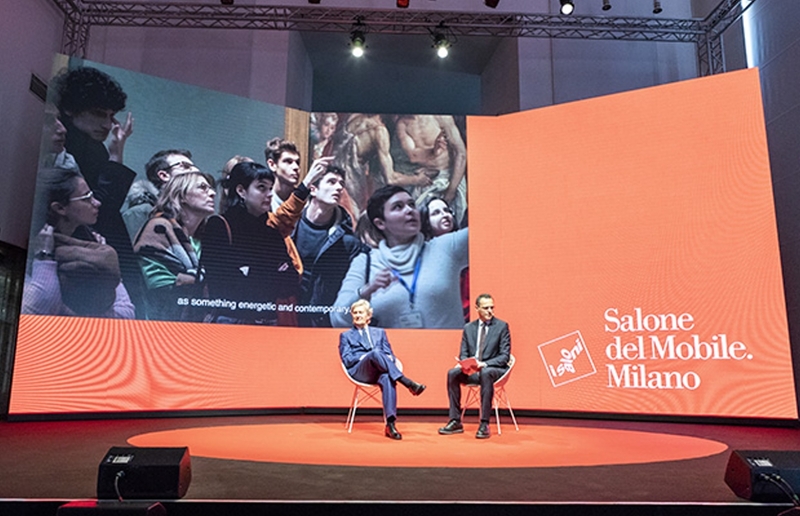 The conference culminated with the announcement of a three-year partnership between the Teatro alla Scala and the Salone, born of the desire to share common values, with the dual aim of promoting the talent of the Filarmonica della Scala and allowing the design community an opportunity to be involved in a unique experience. Underscoring and valorising its ties with Milan even further and in the spirit of increased openness to the exchange and circulation of ideas, culture and creativity, the Salone del Mobile has entered into a three-year agreement with the Fondazione Teatro alla Scala, leading up to 2021 and the celebrations for the sixtieth anniversary of the trade fair. 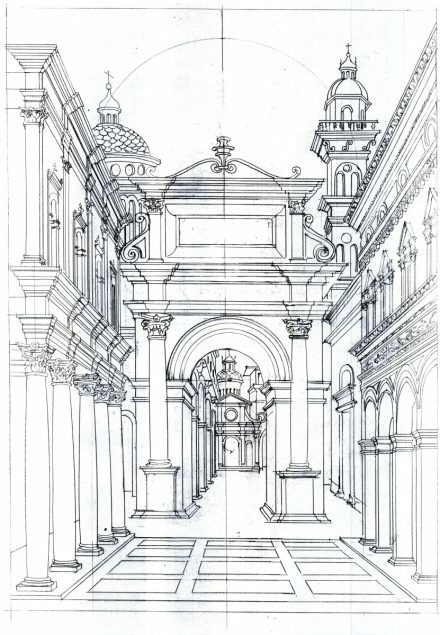 This partnership was born of the desire to combine shared values, with the dual aim of promoting and valorising the talent of the Filarmonica della Scala and allowing the design community that breathes life into the Salone every year an opportunity to be involved in a unique experience. 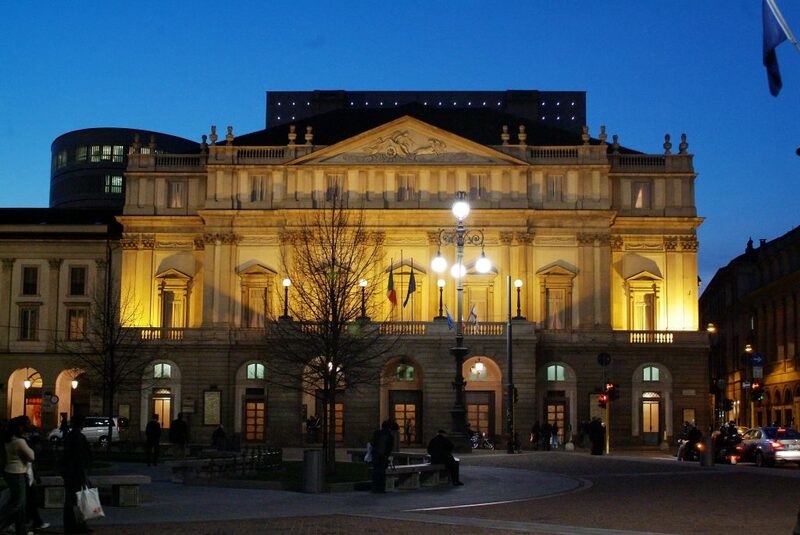 This year, for the first time ever, the Salone will open with a great concert: Riccardo Chailly, musical director of the Teatro alla Scala in Milan, will conduct le Ouverture da Semiramide e Guglielmo Tell di Gioachino Rossini and Pictures at an Exhibition, composed by Modest Mussorgski and arranged by Maurice Ravel. A hugely powerful and emotionally impactful piece of music that will transmit its energy to all those actors who make it their business to ensure the Salone is a success year after year, without reservation. 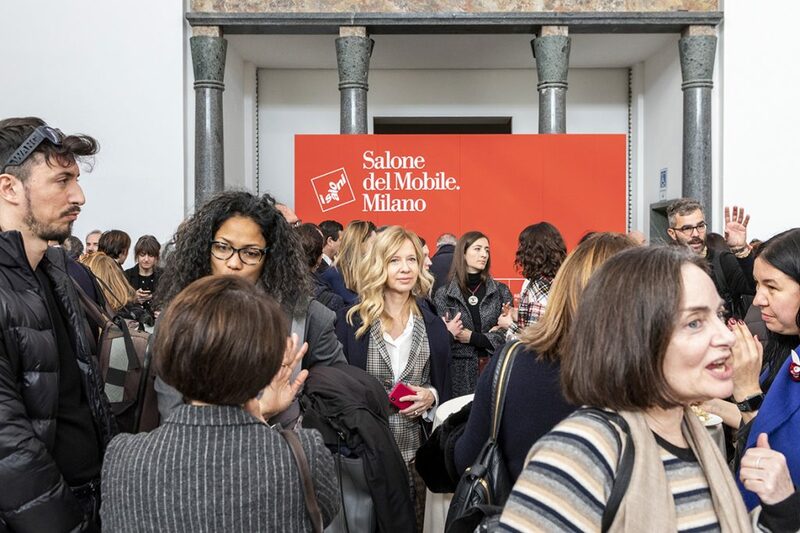 Again, this year, a great celebration of design will mark the close of the Salone del Mobile.Milan on Friday 12th April at Palazzo Marino, fuelled by the tremendous exhilaration generated by the event and its mission. 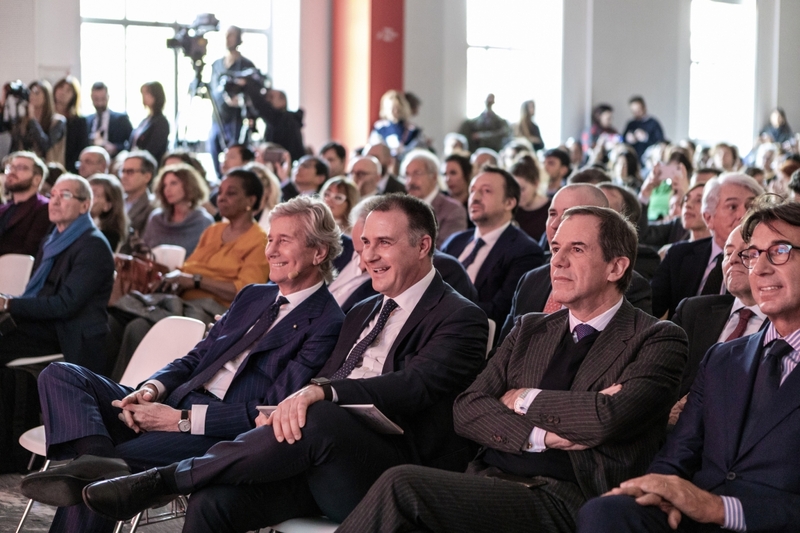 It will be an occasion for celebrating the enormous productive and organisational commitment of our companies and all the designers and people who help to make Milan the most interesting and attractive place in the world during that particular week. 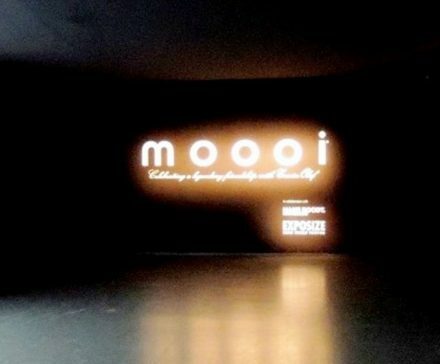 The connection that has been established between Erwin Olaf and Marcel Wanders has run since the start of Moooi.